Motorists that were behind the wheel and used their smartphones to snap images of a massive crash can find themselves in hot water. 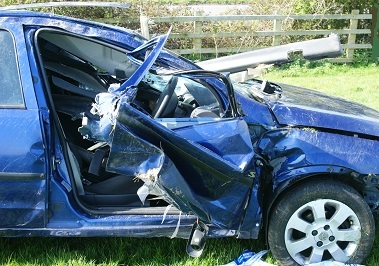 While there are times in which technology news reveals many ways in which to improve our lives and make things easier, a recent situation in the United Kingdom has caused four drivers to be prosecuted for having taken photographs of a freeway accident using their mobile phones. The Gloucestershire Police said that the activity of snapping the photos caused dangerous driving situations. The police stated that the drivers in this technology news who took the photos of the traffic accident were so focused on taking the pictures that other drivers were required to hit the brakes or take other evasive action to avoid crashing into them. The drivers, who should have been focused on making sure that they were proceeding safely past the area of the crash, instead chose to take out their mobile phones and try to either photograph or take video footage of an RV that had collided with the center barrier of the M5 freeway, near Michaelwood services. A police officer reported in this technology news that there were dozens of motorists trying to take pictures. The accident blocked the third lane of the freeway on the afternoon of July 28 and the many drivers who decided to focus on using their mobile devices to take pictures instead of concentrating on their own driving risked making the situation considerably worse. That said, among all of the motorists who failed to progress legally past the crash, only four were apprehended. Those four will be prosecuted for having driven without due care and attention, or without consideration to the other road users. That said, there were eight other drivers who were identified in this technology news story, and who will be sent letters of warning with regards to the way that they were using their mobile devices while behind the wheel.